The May meeting of the Scottish Executive Committee (SEC) inevitably focused on the election post-mortem. General Secretary, Brian Roy set out his analysis of the voting and the party’s own polling. The numbers can be found in the SPICe report, for those in need of further depressing reading. The party’s mid-campaign polling was better than the final result and this appears to be the basis for the suggestion that the anti-Semitism row had an impact on the result. While it was certainly unhelpful and may have had an impact in one or two areas, most SEC members were sceptical that it had much of a wider impact. Much more significant was the squeeze on the constitution, reinforced by the huge resources available to the Tories to exploit it. There were differences of emphasis on the SEC between those who favoured a stronger ‘unionist’ position on the constitution and those who argue that, while this may have helped in this election, in the longer term it’s a dead end position consigning the party to around a quarter of the vote. There was strong support for the manifesto, even if some reservations about leaving the publication so late. 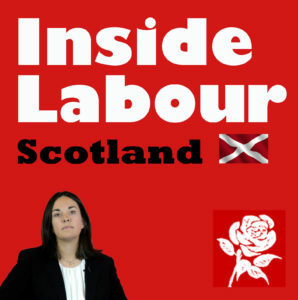 The strong anti-austerity pitch places Scottish Labour in a stronger position as the cuts begin to bite deeper in this parliament. Polling demonstrated that this was popular with the voters and it was the late focus on the constitution that was more damaging. The ‘Both Votes Labour’ message at least addressed the historic problem with the list vote, but did not resolve the gap. There were significant differences in organisational performance at local level. Increased membership doesn’t always translate to more activists on the ground, as other parties have also found. There are obvious challenges over funding, paid staff and engagement of all elected representatives. The SEC recognised the huge efforts put in by staff and many activists. There was broad agreement on the next steps following the EU referendum. These include a focus on building for next year’s council elections, fundraising, MSP contracts building a regional strategy, as well as the new Leader’s political office. Other political reports covered the excellent work done in the House of Lords over the Trade Union Bill. There was also a discussion on a framework for local government election manifestos for next year. After the break, the SEC considered a procedural document for local government selections. While there are obvious challenges in building greater political engagement amongst Labour councillors, media references to ‘deadwood’ are unhelpful. There will be a call for candidates and a letter to existing councillors to identify those who wish to stand next year. The Local Campaign Forums will need to be reactivated in most areas. Further progress is also dependent on the Boundary Commission deliberations and the SEC received an update on progress with that review. The SEC received an update on party autonomy discussions following the joint statement agreed between Kezia and Jeremy. A consultation paper will be agreed by the joint SEC/NEC working group. On the issue of wider political devolution reform, Jon Trickett MP is visiting Scotland this week. There was a report on the investigation into the well publicised disputes in East Kilbride CLP. This will be referred to the Constitution Sub-Committee. Another long and difficult SEC meeting. However, considerably less fractious than some other post-election discussions in recent times – with a clearer understanding of the task ahead. This report sounds a bit like those diplomatic communiques in which, after a complete failure to agree on anything the public is told that “a full and frank exchange of views” took place. In this case it was a “difficult meeting” but was “less fractious” than previous ones and resulted in a “clearer understanding” of the tasks ahead. There were differences of emphasis on the SEC between those who favoured a stronger ‘unionist’ position on the constitution and those who argue that, while this may have helped in this election, in the longer term it’s a dead end position consigning the party to around a quarter of the vote. Is this not just another example of the focus group mentality that has been substituted for political thought in so much Labour discussion? The question of maintaining constitutional union with the rest of the UK appears to have been discussed not in terms of its inherent merits and problems but rather in terms of whether it can win votes or not. In addition public opinion seems to be assumed to be a given which cannot be changed. This is political thin gruel which cannot sustain meaningful left politics. P.S. Who wrote this article? I take it that it was not Jon Lansman. It first appeared in Revitalise Scottish Labour where it was attributed to “Guest”. Yes indeed, David. Scottish Labour appear to be still firmly marooned in that dire area of complete political opportunism – driven by focus groups and the latest minute by minute attempt to steer towards current “public opinion” for electoral gain. This is the utter lack of underlying socialist principal that led Labour in Scotland to tack so firmly rightwards for at least 15 years , that they were outflanked on the Left (in rhetoric at least) by the equally flexible petty nationalist opportunists of the SNP. For socialists, regardless of what the now hopelessly adrift in the swamp of “Left” petty nationalism, radical Scottish Left , may say, the only principled socialist position is for the maintenance of a united UK. Anything else , including the opportunist rhetoric from the Labour Right in England for ever greater “devolution” in England too , on a regional basis, simply continues the political “cantonisation” of the unitary UK state – to the huge advantage of multinational Big Business – facing ever less effective, sub-divided, and mutually competitive, political sub-units of the UK. The short and medium term in Scotland may well belong to the cynical cod-Left petty nationalists of the SNP – but the realities of the ever greater Austerity they administer for capitalism, will eventually demonstrate the continued need for united all-UK working class resistance. Labour in Scotland, and England/Wales, needs to avoid the toxic temptation to leap on the petty nationalist bandwagon – and hold true to the core principles of working class solidarity and internationalism. Unfortunately , socialist political principal and the same old incestuous Blairite/Murphyite crew of career opportunists who still run Labour in Scotland, are complete strangers to each other. John, I agree with most of your points but I think that we should not dismiss regionalism simply on the basis of its exploitation by the right. The question of nation and region and their changing nature is vast and requires a full debate. We should be pressing for and preparing for a constitutional convention which would look at these questions in depth and for which the left would argue from a position of real knowledge and well considered positions. If we reject the old idea of the nation as some mystically inspired entity with its own special eternal ethos and go instead for a political and civic definition (advocated by Ernst Renan as long ago as 1883! His speech on the issue is reproduced in Shlomo Sand’s book On the Nation and the Jewish People) then I think this would lead us to consider what would be the most balanced and equitable arrangements for power and control within the nation. It would be a mistake, I think, to exclude new forms of regionalism from our considerations before a debate has even started. The problem with “regionalism ” and “nationalism” specifically in the UK (given that none of the component regions or nations within the UK are actually today in any way “oppressed nations” in the way we understand the situation of , eg, the Kurds or Tibetans today, or sundry nations under colonial rule in the past) is it’s generally divisive, reactionary nature. The UK is a very old nation state – given the very short historical timescale in which the modern nation state form has existed – being entirely a creation of industrial bourgeois capitalism , mainly from the late 18th century onwards) . To step back from the undoubted historically progressive achievement of a multi nation democratic state, to a , inevitably, mutually competitive, set of “devolved” or even fully independent., regions and states within what is the current UK is and will be a recipe for yet more division in the working classes of our common homeland – in the face of globalised capitalism – and the might of the global Capitalist Market . And would be a very real barrier to the development and implementation of a comprehensively radical Left economic programme based on a shared all-UK Regeneration Plan. What always amuses me when people on the Left (particularly the Scottish “radical” nationalist Left) wax lyrical about the “Scottish Nation”, is that in reality the classical modern bourgeois capitalist “nation state ” no longer exists in any part of the UK, certainly not in Scotland. Why ? Because a vital , definitional, element of the modern bourgeois capitalist nation state is simply missing – namely a significantly sized genuinely self-identifyingly Scottish Big Bourgeoisie. The Scottish Big Bourgeoisie long ago morphed into a part of the wider British ruling class/Big Bourgeoisie – and today , I would contend , despite their willingness to wrap themselves in the British, Scottish or English, or Welsh flags and crass nationalist symbolism at the drop of a hat (or Cenotaph ceremonial), the entire British Big Bourgeois class , and their Westminster political party creatures , have essentially “moved on ” historically, to be a part of a united US led transatlantic Big Bourgeois class. The Big Bourgeoisie in the UK today, and their political puppets are essentially more akin to the various petty”Comprador Borgeoisies” that collaborated with their colonial overlords in empires of the past, than a native bourgeoisie/ruling class that can ever be depended on to stand up for the interests of the majority of the peoples of the UK. All that “regionalism”, “devolution” (eg, “The Northern Powerhouse”) and Scottish Independence stuff actually offers is ever increasing division and weakness for the majority of people in the current UK, in the face of globalised capitalism. The harsh reality is that , specifically in the current UK context, the “political platform and arena of struggle” is still the nation state form, certainly not the EU, but a peculiar “nation state” in which the Big Bourgeoisie has actually now “moved on” beyond the UK nation state – to an international self identity and economic interest. Hence it is up to the UK working classes , under Left leadership and socialist politics, to take on the historic task of defending the interests of all the peoples domiciled within this multi-nation, multi ethnic, nation state – through the development , and implementation,of a radical Left strategy for a mixed economy operating within a national Plan. One thing is quite clear, with the ever greater rise of the proto fascist , Right Populist, increasingly Left rhetoric spewing, French National Front as a prime example, if the Socialist Left doesn’t rise to the challenge of “defending the nation” against an international capitalism that has increasingly co-opted and absorbed previously independent national Big bourgeoisies, then the Radical Far Right will dress itself successfully in the required national colours , and pseudo Left “Strasserite” rhetoric , to assume that role. (Anyone who has listened to that cunning Right Populist French politician , Marine Le Pen, rant very effectively , from an extraordinarily “Left wing” position, against the iniquity of TTIP for instance , on her regular appearances on Russia Today, cannot be in any doubt that the Far Right are perfectly capable of sounding just as “anti capitalist” as the genuine socialist left, when it is politically convenient). So, let’s debate about devolution and regionalism by all means – but not forget the big picture historical context and our socialist objectives. There’s nothing to stop a population re-imagining and therefore redefining the nation state without the “vital”element you mention. John, the trouble with your lecture above (I don’t mean to be rude but it did rather read like that to me) is that it is general to get to grips with real problems. Of course we must keep in view the power of international capital and of course we need to ensure that devolving power doesn’t make prople even more vulnerable to the predations of capital than they are already. But I think you could have understood that from what I wrote. But none of that warrants the conclusions you draw. All that “regionalism”, “devolution” … offers is ever increasing division and weakness for the majority of people in the current UK, in the face of globalised capitalism. Can you really claim that “all” devolution and regionalism has this consequence? If this were the case it would be an argument for extreme centralisation which I am fairly sure you would not favour. So I am not going to insult your intelligence by giving you examples of where devolving power from the centre is clearly a good thing. The point is simply that you cannot draw particular conclusions from a purely general argument. The particulars have to be worked up on the basis of the general argument but cannot take the form of a logical deduction from it. And to get back to Scottish Labour I would just add that Scottish devolution provided the basis for greater involvement of Scottish people in the affairs that that require specific solutions for that area of the UK. Independence, however, would do the opposite and would have the dire consequences that you warn about. We need devolution and regionalisation when it serves the great majority and we should oppose it when this is not the case. Which is essentially the proposition that the SNP (and their radical Left Nationalist co-thinkers) have indeed sold so successfully to the Scots. But is it an “imagining” that has any real world basis , or “operational viability” in the real world of globalised capitalism ? I would argue that the entire notion of genuine “independence” in a still capitalist Scotland today is actually a divisive illusion – as long as the same all- UK (and increasingly transatlantic) capitalist Big Bourgeoisie still own and control the bulk of the productive wealth of Scotland. But on a case by case basis I’m afraid I am utterly unconvinced so far by the current fad for ever greater “devolution”. The “Northern Powerhouse” concept being a classic example of a supposed “devolution of powers” that actually simply devolves the administration of implementing Austerity to collaborating Labour administrations – totally hamstrung by the vital remaining overall budgetary control power of the central, Tory, Government. How different has this reality been so far for the supposedly “devolved power” Welsh and Scottish administrations ? And how much more “in touch with the special regional, local needs” of their respective populations have the Welsh Assembly and Scottish Parliament proved to be ? Not much I would suggest, or at least not yet, whilst the political party structures of all these various “devolved” areas of administration are dominated by the same old gangs of pro-capitalist politicians. The horizons of significance, drawn by shared, everyday experience, form the “real world basis” of any re/imagining. In the circumstances the SNP were judged to presented the best (i.e. most realistic) option. The Labour Party, until Corbyn, differentiated themselves from the Tories only by offering more sympathy for the victims of the Tory-like policies they intended to implement. Certainly, the electorate gave Jim Murphy the kicking he deserved*. What would have been a truly aberrant departure from “real world” exigencies would have been a Jim Murphy-led victory in Scotland. Rod, you’ll get no defence of the ghastly , Tory-mimicking Murphyite Scottish Labour Party from me. They did indeed, via their neoliberal politics and endemic corrupt cronyism , destroy the Labour Party in Scotland. However you totally fail to address my main points. Is the SNP and its nationalist agenda the “answer” ? And, whether the offered “viable prosperous social democratic” Scottish Independence “imagining” of the SNP (and their radical Left nationalist supporters ) is actually doable and real or is a diversionary petty nationalist fantasy – given that in a continued capitalist Scotland the productive wealth of the country will still be owned overwhelmingly by a completely integrated UK (and increasingly Transatlantic) Big capitalist class . Mass popular “imaginings” , particularly nationalist ones, are seldom historically progressive – particularly when in Scotland’s case it simply is not any sort of “oppressed nation” within the UK. There is also the rather banal, but nevertheless fundamental, reality that Scotland as a tiny economic unit, with oil prices stuck for the long term at around $50 dollars a barrel, and no viable alternative currency to the £, is simply not economically viable – not at its current generous levels of public spending anyway. Mass popular “re-imaginings” can just as often be “false consciousness”, rather than genuine insights. Yes I agree with David. Whilst whatever we do should be in the framework of a UK ie a common defence strategy, a common living wage, common corporation tax so big business can’t set nation state against nation state in a race to the bottom but there is scope for more devolved services. Otherwise John would be against a Scottish Assembly, a Welsh Assemby, a London Assenbly. There is scope for some devolution to the regions North, South, East, West, Scotland etc. so decisions are made closer to people and a lack of this was perhaps why nationalised industries could be privatised so easily. The devolution on offer by the Tories is fake but a Constitutional Convention sounds sensible. A good debate between David and John, although I think David is mainly right. Yes, of course there are dangers in devolution which the Tories are trying to exploit, by engineering situations where the devolved body is worse of than previously. Having said that I doubt if devolution, if extended to England and its regions, would have the divisive effects that John predicts. This is not to my knowledge the case in Germany, although it is a fully federal state. However, one of the key reasons for remaining in the EU is to be able to stand up to international capital, which an ‘out’ UK would not be strong enough to do, or indeed an ‘out’ France. I think there is still a discernible bourgeoisie in Scotland ( Souter and others), although not in Wales, and while the direction in the UK as a whole is certainly towards a transnational bourgeoisie I think there is still a recognisable national bourgeoisie, desperate to remain in the EU, as opposed to its petit bourgeois counterpart. Peter. Everyone always immediately says “The Souters” when challenged about the absence of a distinct Scottish Big Bourgeoisie in this supposed “distinct nation state of Scotland” . The Souters and who else ? A handful of maverick medium sized capitalists – who usually are very noticeable for feeding off the teat of special , dodgy, arrangements with the Scottish government – like the Souters do with their SNP friends on ferry and bus contracts. Come on now , Peter, overall the Scottish Big Bourgeoisie, and particularly its landed gentry component , merged seamlessly (apart from the odd sentimental Burns night kilt wearing by some with “mac” in their names) into the UK Bourgeoisie and full, equal participation in its Grand British Imperialist Project soon after the Union . To deny this is simply inaccurate slipshod history – as propagandised constantly by the SNP as part of its fantasy “Scotland is an oppressed nation” narrative. This is not just a peripheral issue, Peter. The fact is that in Scotland, as in Wales, and England it is a Petty Bourgeoisie rabble of consultants, lawyers and small businesspeople, and sections of the working class, who are still true believers in their various petty nationalisms (Independence for Cornwall anyone ?). The Scottish Big Bourgeoisie have , as a class , rather than a few mavericks, moved on to at least a UK level of allegiance – but actually overall, through common shared investments and Big Business tie ups I maintain that the UK Big Bourgeoisie has now transcended the UK nation state entirely – to become a component part of a US-led Transatlantic Bourgeois class . This is a historically quite new form of “Comprador Bourgeoisie” which will never act in the interests of the population of this nation state. This is not the case with any of the still nationally distinct Big Bourgeoisies of the rest of Europe. In fact the German Big Bourgeoisie is still so nation-centric that its disastrously selfish economic/currency priorities are a key feature of the current stagnation of the entire Eurozone and the impoverishment of the Southern European EU states. The German Lander may well not suffer from their long established federal set-up – But the entire motivation for “devolution” in the UK in the specific neoliberal circumstances of today is entirely different to Germany’s federalism. The grand illusion of the cynical “Northern Powerhouse” – to get local politicians to enforce Austerity, is a much better benchmark for “devolution” under a Tory neoliberal government today – than the German Lander experience. As an aside . I should also mention that as an economic development professional across many local authorities in Wales, England and Scotland over 20 years, I experienced at first hand the disastrous consequences of a failure by any central government to carry out a comprehensive Regional development/regeneration strategy. Instead , under Labour and the Tories, each region within the UK has , for many decades, been encouraged to compete head to head with every other region – for inward investment and general economic development. So in Yorkshire, under Labour, the Yorkshire Forward development agency would compete with grants and huge marketing budgets ,with , the Midlands and Welsh and Scottish, and South East , etc, rival development agencies – with economic strategies (always for the same “advanced cluster” developments of the same target high tech businesses) , written for them by the same consultants – sometimes forgetting to even change the place names in the first drafts ! Unstructured mutual competition between regions is no way to organise rational regional economic planning. The 1964 Wilson government at least initially tried to do this vital task on a national basis. Since then National Economic and Regional Planning has been a “no go policy” – as part of the worship of neoliberalism and its unlimited competition philosophy. If Labour is ever to develop a distinct, effective, strategy for vital regional economic planning – to reverse the growing economic collapse of the Northern UK regions – it will have to look again at the wrong turning under Thatcher and Blair towards endlessly more sub-divided regional “devolution” – or “cantonisation” as it is often known. John. I take your point on devolution, clearly the promotion of regional competition that you describe is not desirable, but that does not mean that devolution in the broadest sense , isn’t. On Scotland, it is worth remembering that pre 2008 it was an important financial centre, although the collapse of RBS changed that. No, I am not arguing that there is, or was, at least since 1707, a clearly separate Scottish bourgeoisie, but that elements of it are there to a limited degree. We are talking in terms of approximations, so I find your distinction between a British bourgeoisie that is TNC based and European counterparts that are nation based far too precise. There are surely elements of both in the UK and Europe, although I grant that the much greater extent of UK overseas investment by comparison to Europe is likely to render the UK bourgeoisie less nation orientated. @John P. I don’t think you answered my main point above so I’ll make slightly differently. I think it make little sense both to be for evolution in general or against in general. It is not difficult to find examples of devolution that has been positive and others where it has been negative. Any productive debate about this requires that we say what devolution is under discussion, what its purpose and extent would and how it would be implemented. There cannot, in my view, be a convincing agrument for or against devolution in general. On the issue of nations and nationalism I think that we tend to be misled by language. When we use the word “nation” to refer to England, Scotland and Wales we are using in a different sense to when we speak of Britain. There is overlap, of course, but it is important to see the differences. To be English or Scottish or Welsh is to believe that one not only has a number of things in common with other but that these things also define others as not English or Welsh etc. These beliefs are not mandatory however so it is possible to be a fully functioning citizen in England without considering oneself to be English and likewise for the others. Being British functions differently since it is not a matter of individual belief. It is political and administrative fact. One can become British via an appropriate ceremony. It is not possible to become English,, or Scottish or Welsh in the same way. If Scotland became independent then that would change – but so would what is meant by the word “Scottish”. Ernest Gellner pointed to something along the above lines when he said “Nationalism is not the awakening of nations to self-consciousness: it invents nations where they do not exist.” It is difficult to see the force of Gellner’s point in the UK context if we don’t take account of subtle changes of meaning in the words that we use. This a vast topic and it would be great to have the conditions in which to debate it properly. I agree with you , David, that one cannot be “against” or “for” devolution as some sort of fixed, un-situationally specific, unconditional principal. However in the English context of today, I remember very well during the last Labour government John Prescott’s department attempting to introduce sundry “English Regional assemblies” and elected mayors, across key areas of England. These were roundly rejected by the regional electorates (including Manchester , re an elected mayor – now to be foisted on them by diktat – with Andy Burnham all too keen to then foist himself on Mancunians via this unwanted post !). Everyone rejecting this “regionalism” quite rightly saw it as yet another gravy train of sinecure posts for the usual political stooges of the main parties. So in the specific context of today’s neoliberal reality , in England, “devolution” is simply a ruse, a tactic, against already democratically expressed public wishes, to enforce Austerity on an increasingly atomised population – and , the big bonus, to have this Austerity actually administered by self-serving Labour local politicians in all too many cases. A future radical Left UK government will have a key potential “weapon” in its armoury with which it can start to transform the chronically sectorally and regionally unbalanced UK economy, ie, comprehensive state-led economic planning – including comprehensive education and training provision, labour supply planning, selective capital controls, and direction, and in some key cases, public ownership, of the banking/financial sectors and utilities, all to operate within the priorities of the Plan. Comprehensive state-led (in French practice known as “dirigement”) economic direction and planning requires a state-wide , uniform, approach. “Devolved” bits of a state cannot opt out of comprehensive economic planning – or it is a shambolic impossibility – in the face of the awesome power of a globalised predatory market and multinational companies always looking to play off one political grouping against another (an “independent” Scotland under the SNP has as a major policy plank, the undercutting of tax rates across the board relative to England and Wales). So , sorry, whilst I don’t as a matter of unconditional principal, deny that sometimes “devolution” can be inevitable (eg, Wales and Scotland), even desirable , but as with the very cynical , divide and rule , and destroy , motivation behind the regionalisation of the NHS, and the current “Northern Powerhouse” structures which draw Labour politicians into Austerity collaboration at an intimate local level, there is very little to be said in the favour of most “devolutionary” developments today from a radical socialist perspective. Speaking as someone who actually has some experience with a fully federal system, I find the debate on devolution interesting. I should say up front that I tend more towards David’s position. However, I agree with John on the dangers of competition between regions and the undesirability of current regionalisation proposals. There is a definite danger that competition between regions will causes a race to the bottom in tax rates. However, there are also advantages to regions being able to set their own tax rates. Let’s consider Canada, although obviously its history and geography make it very different from the UK. The fact that provinces can set their own tax rates, on top of the federal one, has allowed for innovation in social programs. For instance, universal healthcare started out as an experiment of the social democratic government in Saskatchewan. Seeing its success and popularity, the centrist federal government rolled it out nationally. Another good thing about federalism is that it means regional public ownership is directly accountable to a regional government. For example, take the regional electricity and water boards which existed prior to privatisation. To me it makes no sense for a body with regional responsibility that to be controlled by a central government. However, I also dislike the idea of regional governance structures which are not directly elected (groups of cities, etc.). Thus, to me it would seem that the best solution is to have regional parliaments responsible for running such enterprises. Now, I’m not suggesting that the UK adopt Canada’s form of federalism. Things which are necessary in as vast a country as Canada are not here. Furthermore, I am of the (probably minority) opinion that Canada’s federal government is too weak, a problem which has only been accentuated over the neoliberal period as it has chosen to download responsibilities and costs onto the provinces, creating divergent standards of services across the country. Nor am I suggesting that we should support all devolution. As John Penny rightly says, the current tendency seems to be to use it as a way to pass off responsibility for implementing austerity. Providing tax raising powers can help to prevent this to some extent (although mobility of capital within the UK limits this). However, done in the proper way and in the proper context, I do think that devolution to regional assemblies would be a good thing. Perhaps the bigger question is whether, strategically, the present context makes any form of devolution worth pursuing.